I am sure that when preparing installers for your products, you would have come across a requirement to filter out the system databases deployed on a SQL Server instance when presenting a list of available SQL Servers to the user. In addition, the distribution database in a replication topology is also a system database (It appears within the “System Database” node within object explorer in SSMS). It appears that there is always a lot of confusion around the question – “How to identify system databases programmatically?”. The unfortunate answer to this question is simply that Microsoft SQL Server does not have any documented method of identifying system databases besides filtering on the database name. Note that this list does not contain the Resource database. That’s simply because it is not directly accessible as a separate database! The resource database, as you know manifests itself as the “sys” schema in any database and therefore cannot be queried outside of this environment. I hope that the above mentioned queries are helpful to you. 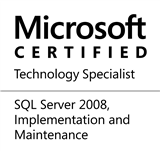 This entry was posted in #SQLServer, Blog, Imported from BeyondRelational and tagged #SQLServer on October 13, 2011 by nakulvachhrajani.